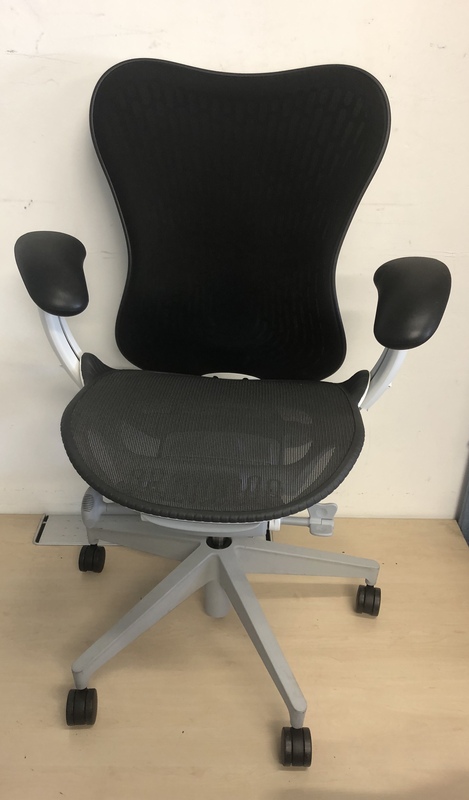 I have an excellent Herman Miller Mirra II swivel office chair to offer. 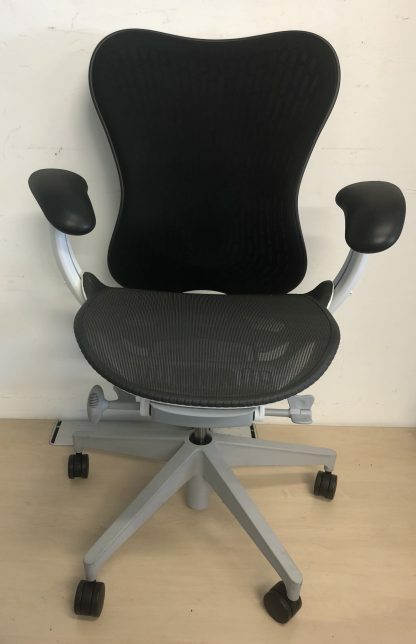 The chair is in great used condition throughout free from any cuts, rips or tears to the mesh / net weave seat. 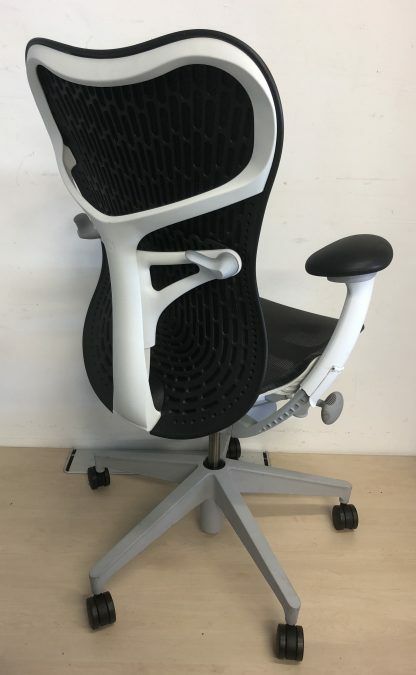 Made by Herman Miller and this is the Mirra chair 2 often called the sister to the famous Aeron chair. 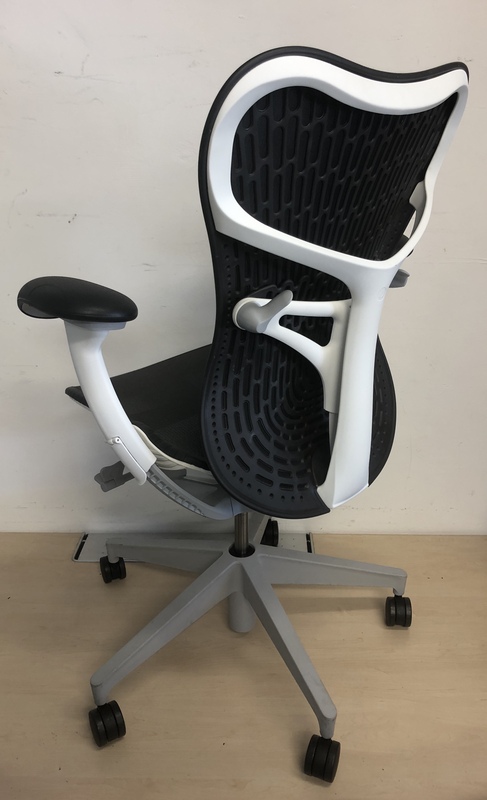 Designed to give superior comfort, body support, and style, the Mirra combines striking looks with innovation. 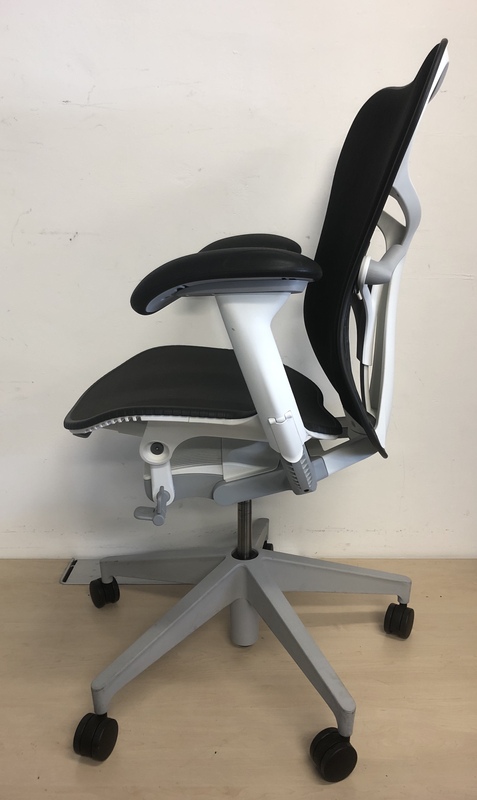 Easily adjustable, recline, height arm rest height adjustment to suit you, so you have a chair that’s truly customised to fit. A valuable essential to your office or home office, the Mirra is designed to blend in with every decor; the net weave seat design is breathable, letting you stay cool when the deadlines heat up! 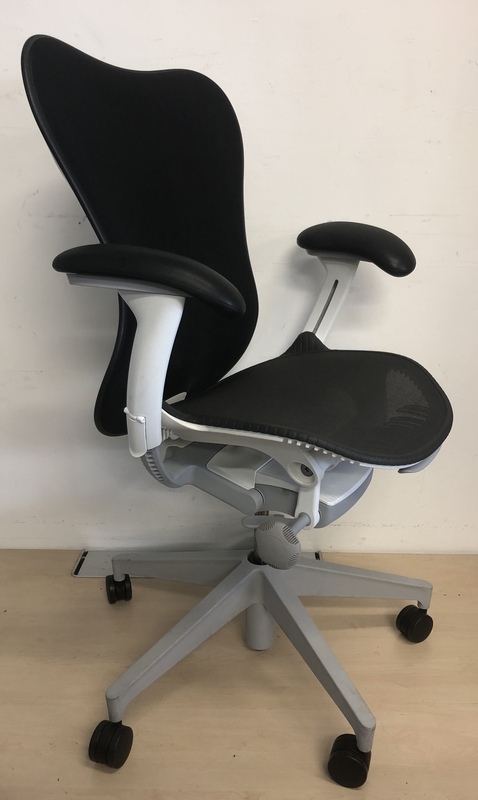 The whole chair is engineered to respond to your body’s movement; the high and wide contoured back, combined with lumbar support, which supports the back in all positions. 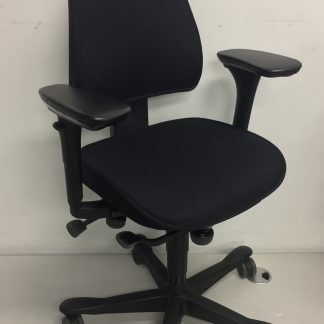 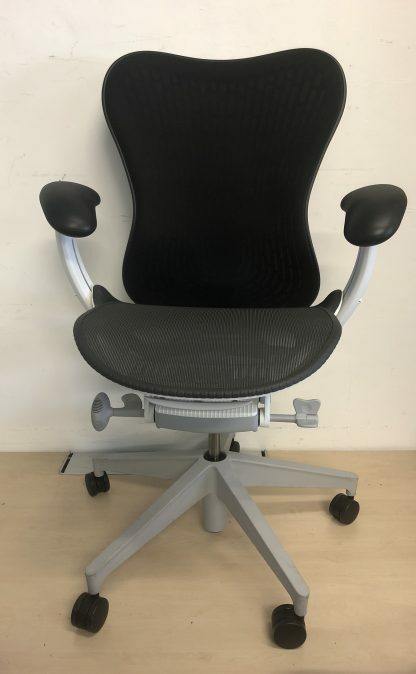 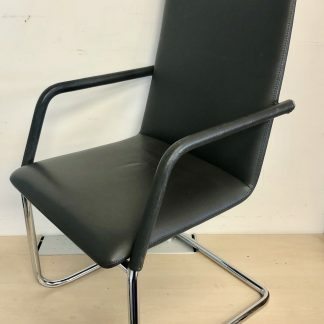 The chair is an excellent swivel operators chairs and being manufactured by Herman Miller you know they have been constructed for the duration or as they put it designed for 24 hour use. 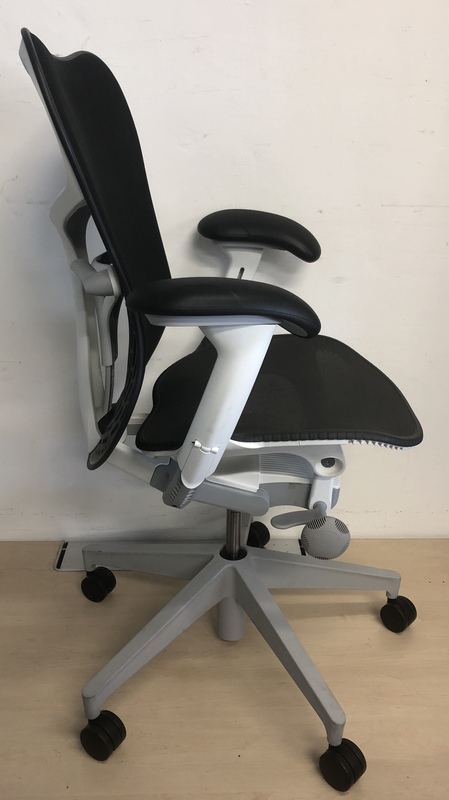 Tilt limiter, height adjustable armrest that also move laterally. Forward tilt is also available with this chair. 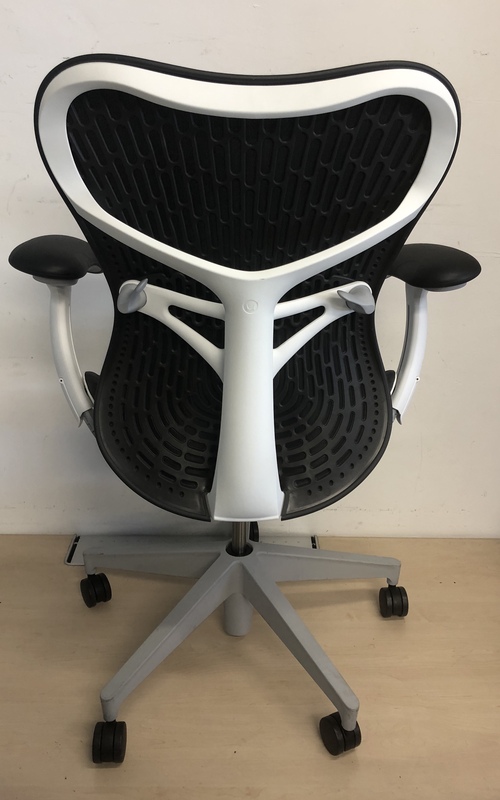 The chair is comfortable, very strong and in my opinion offers more seating portions than it’s famous sister chair, the Aeron. 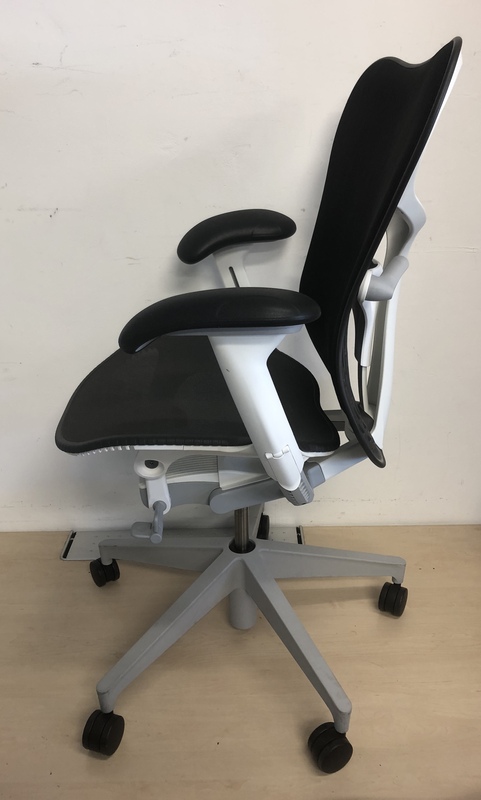 Please note this chair is fully loaded with all the extra functions such as forward tilt, seat waterfall adjustment, lumbar support, seat recline and lock in 3 positions, height adjustable and laterally pivoting 3-D armrests. 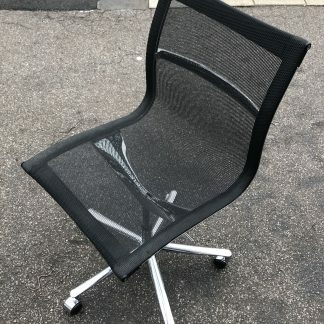 Unfortunately I am unable to offer postage on this item.